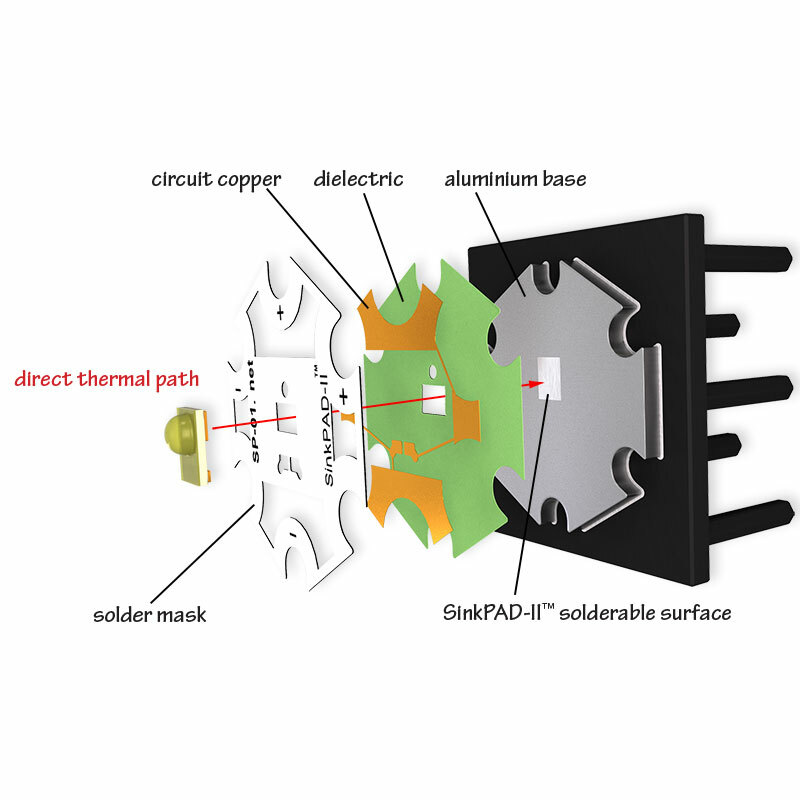 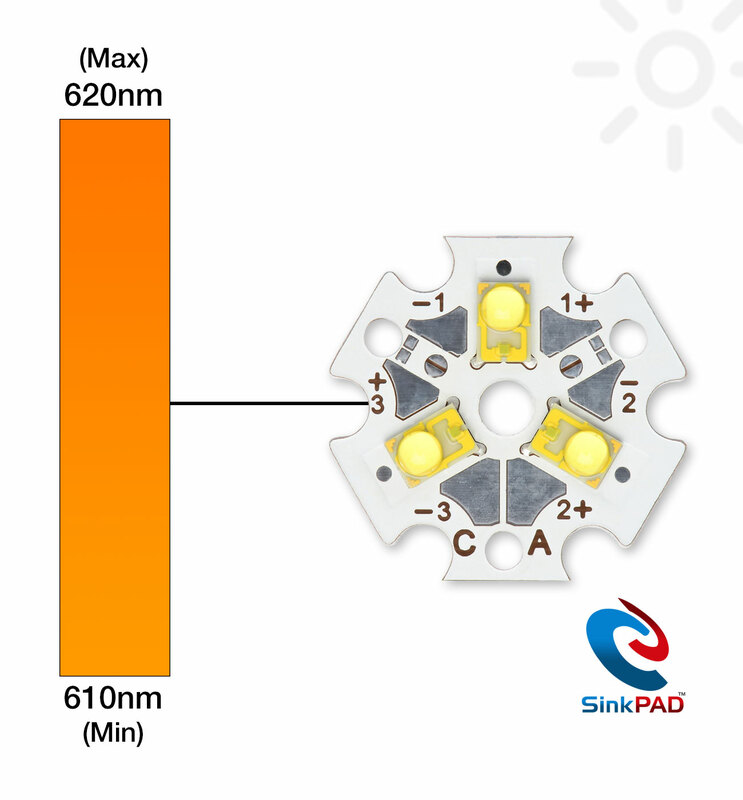 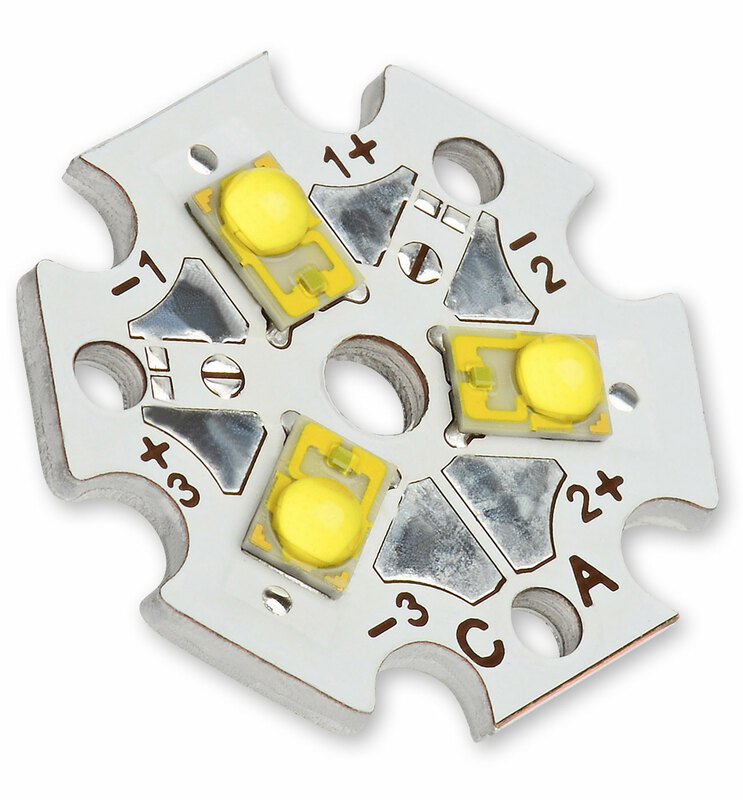 The SP-03-E6 LED module features 3 LXM5-PH01 Red-Orange, Rebel LEDs soldered to a SinkPAD-II™ 20mm Tri-Star base. 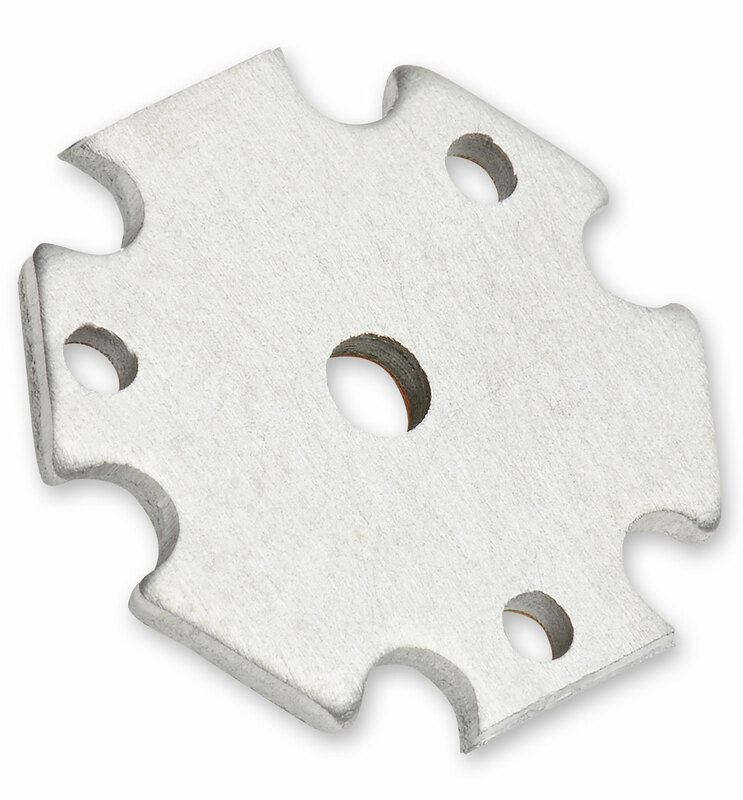 The SP-03-E6 can be ordered in any quantity with quantity discounts available. 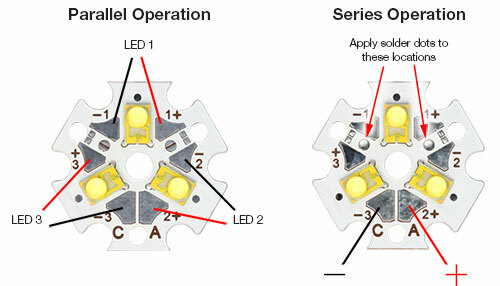 Click here to learn more about LED binnig.